Two great tastes come together! Pair Tyson Any’tizers snacks or Chicken Strips with Hidden Valley Ranch dressing for a snack that is sure to satisfy. 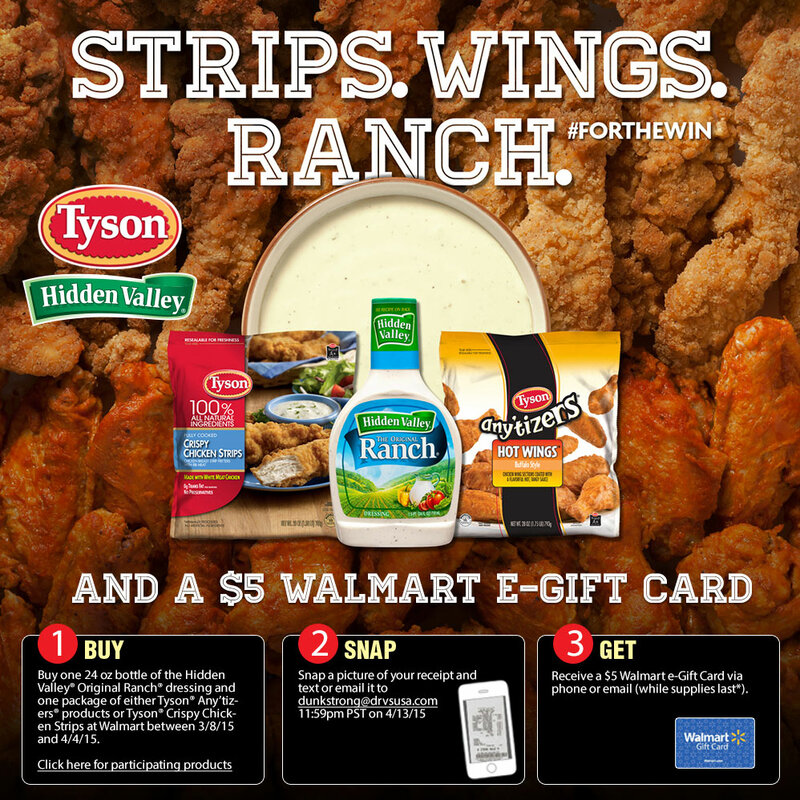 Buy one 24oz bottle of Hidden Valley Ranch and one package of either Tyson Any’tizers or Tyson Crispy Chicken Strips at Walmart between 3/8/15 and 4/4/15. Snap a picture of your receipt and send via email or text to TPG by 4/13/15. Get a $5 Walmart e-Gift Card.